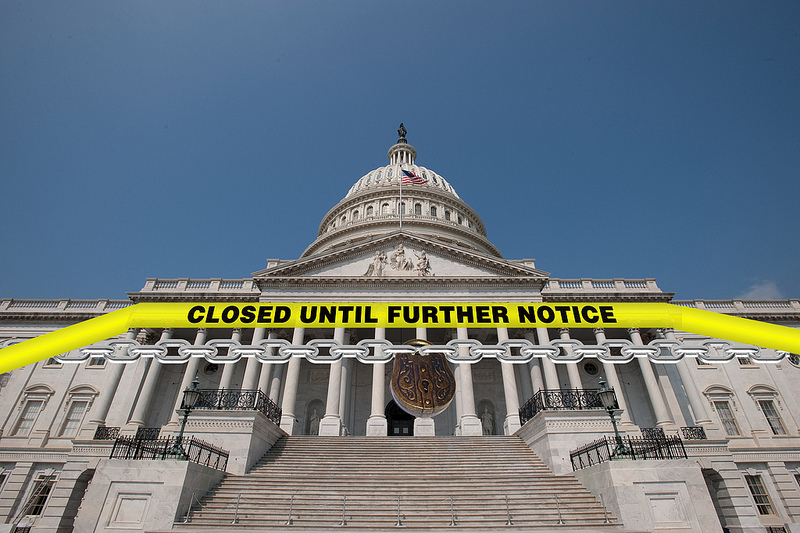 Government Shutdown Looming – What Does it Mean? Republicans have put together a new bill delaying Obamacare by one year while also keeping the government open another year as well, avoiding a looming government shutdown. But what does this really mean? It is not to likely the Senate will go for this new plan – especially with Majority Harry Reid at the helm. He is dead set against any delay or change in the healthcare plan. Monday is the deadline to keep the government running. This ominous-sounding possibility, according to one source – ABC News, is not necessarily such a bad thing. Many government agencies funded through appropriations will not be shut down, including emergency and national security activities and programs. Military and civilian employee pay will be delayed and passport offices will be closed. Many government workers will be furloughed and the last shutdown in 1996 cost $1.4 billion. However Coleen Kelley, president of the National Treasury Employees Union, said she feels this Congress just might not pay these workers at all. J. David Cox, head of the American Federation of Government Employees feels this shutdown may result in “involuntary servitude” with no pay for federal workers. With this threat a good possibility, ABC is putting out a list of agencies that will be open. Also, a list exists at the White House Office of Management and Budget webpage. A looming government shutdown is real and we should know what it means. 4 Responses to "Government Shutdown Looming – What Does it Mean?" Does this mean I won’t receive my a ssi our military benefit? To me a government shutdown means Congress and the president, and all politicians wages should be frozen until they can come to an agreement on all the issues. That wouldn’t Take very long I’m sure!!!!! !